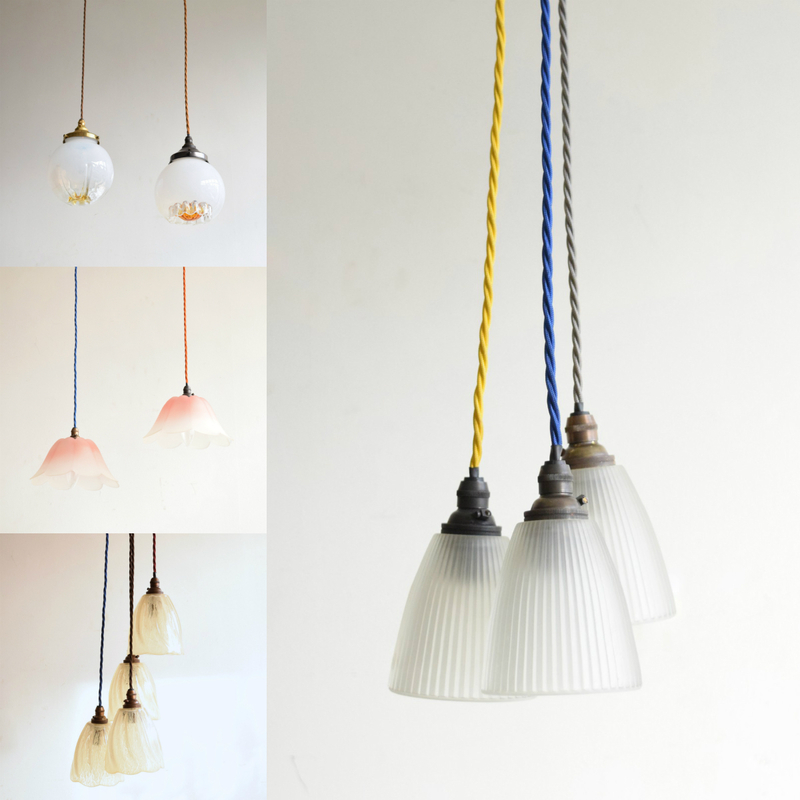 The trend of clustered lighting was formerly the preserve of commercial interiors, with high end hotels, bars and restaurants using the bold effect of grouping multiples of pendants as a focal feature. 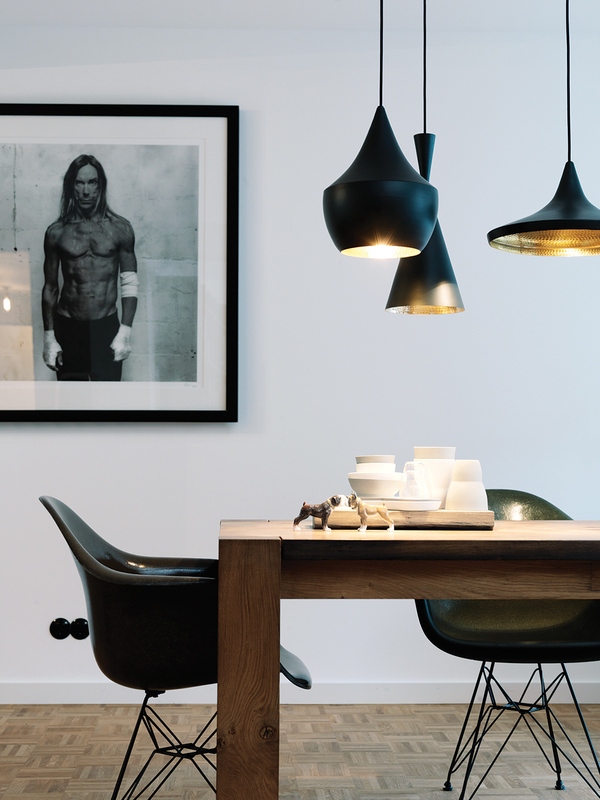 With home owners now becoming more confident at experimenting with statement looks, it is something we see cropping up a lot more often in domestic settings. An easy way to get the look is to invest in a set of matching shades in a multiple of odd numbers (three or five tends to work best). 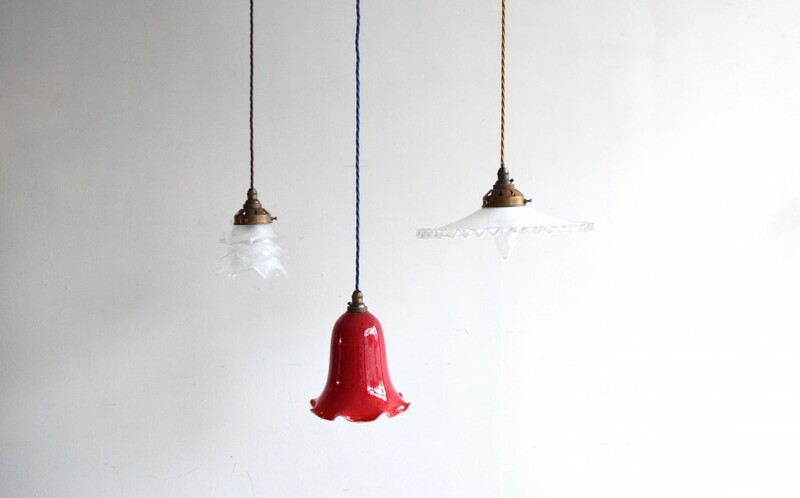 Although it is quite rare to come across matching sets of antique or vintage lighting, we have one of the largest collections of lighting in the North West and have a wide range of pendant shades in stock and several available in multiples. 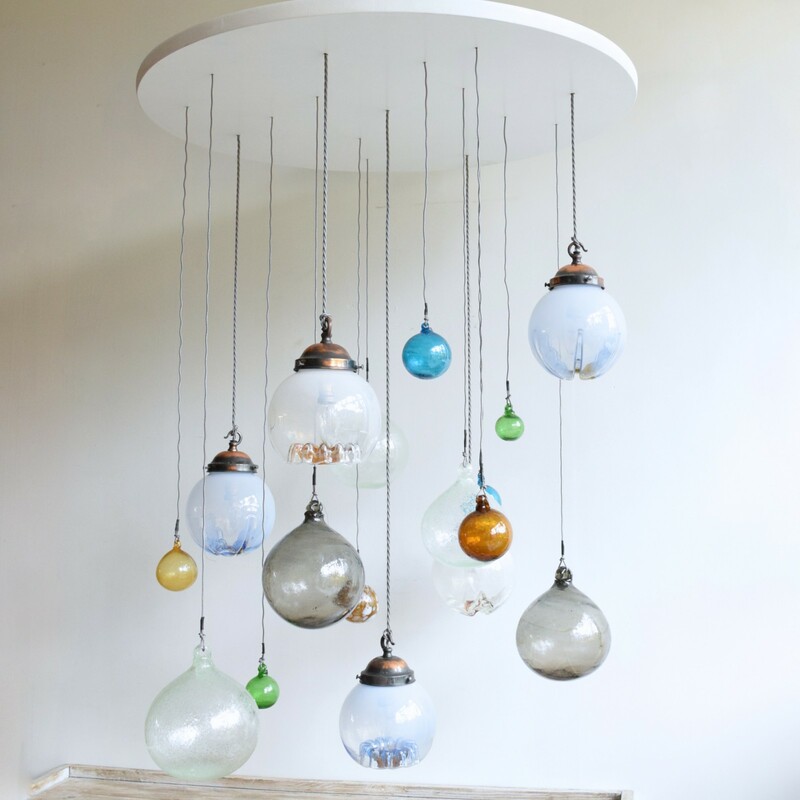 From vintage Murano spherical opaque glass shades with varying decorative details that would look incredible in a staggered grouping to delicate French cut glass and etched pendants. An alternative styling tip is to try using contrasting silhouettes of shades, whilst maintaining a common theme – whether material or colour. It is a fantastic way of adding greater impact by varying shape and form. For example, by using a combination of glass shades in opaque white, you can create a strong look without it seeming overly styled. To ensure a coordinated effect with the other decorative features within the room, you can experiment with colour and texture in the choice of flex you select for the wiring. We stock a wide range of coloured cable in both traditional twisted flex and also the more contemporary braid look. 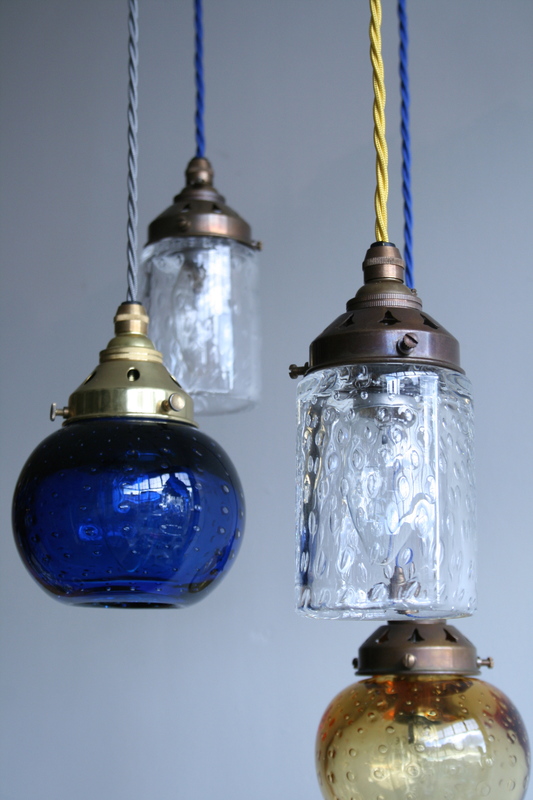 We love using varying shades of the same colour in our bespoke lighting projects and recently used aquamarine, navy and royal blue to stunning effect for a client. Another key trend we’ve seen a lot of recently is the addition of an extra length or so of the flex so that is creates a draped look from the ceiling and often adds a kind of cobweb effect when used with groups of multiple pendant shades. 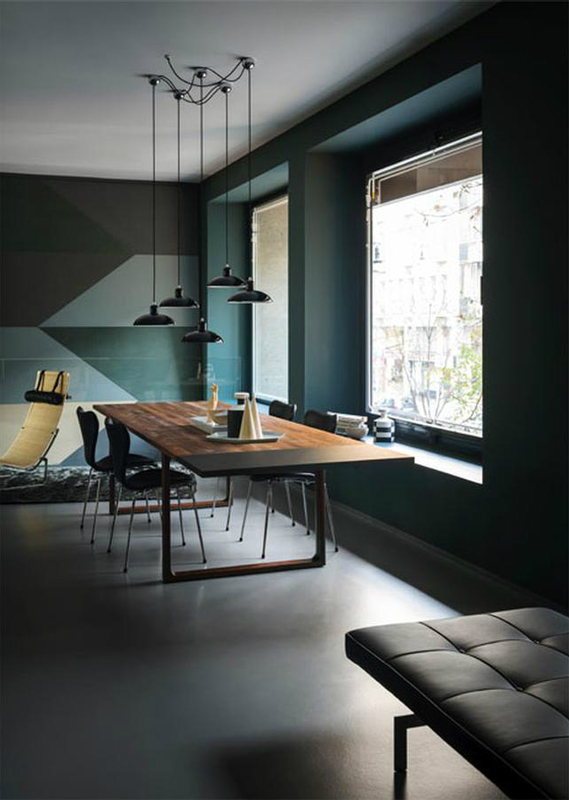 The examples below from the Fritz Hansen showroom in Milan and Sergey Makhno’s office show the look to great effect. 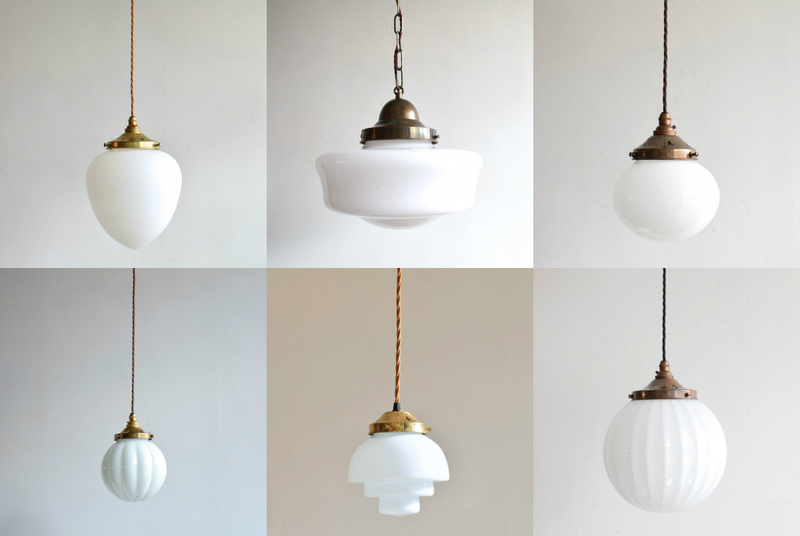 Take a look at our Pinterest board to see some of the antique pendant shades we have available and for ideas on incorporating this great look into your home.